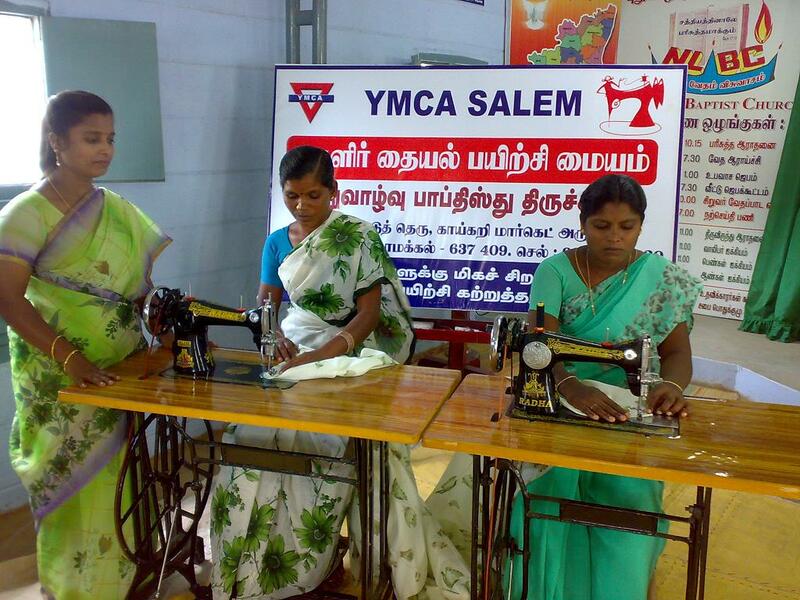 To make the rural women empowered, the Salem YMCA is organizing skill training programs in different villages around the Salem City. Since the Salem City is a Textile City, we can found more opportunities in garment making field. So we are giving training in tailoring in different levels. Once they got trained, certificate will be issued so that they would be able to get job in the textile fields very easily. Some of them are started their own tailoring units to make dresses for themselves and others, through this they are getting befitted Apart from tailoring, some other training like handicrafts items, eatables preparation empowerment programs, leadership activities are also being part of this project.